Obtaining Florida Director Officer Insurance Quotes Online is easy with Click & Save Insurance. Find the most affordable Florida Director Officer Insurance available based on your unique business needs. 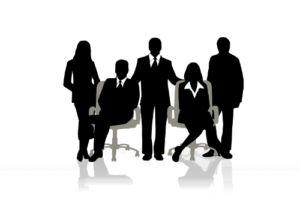 Our team of business insurance professionals are here to assist you. Call us today at 1-813-643-7770 for all of your Florida Business Insurance needs, or click here. Whether you have been in business for decades or you just opened your doors, there are insurance coverages that you should explore and consider as your business grows. While not all of the many business insurance policies are required, you should be aware of them and understand when they are right for your business and how they can best protect you. Does my Company need Director & Officer Insurance / D&O Insurance? Florida Director Officer Insurance is a type of liability insurance covering directors and officers for claims made against them while serving on a board of directors and/or as an officer of the company. Director & Officer liability insurance can be written to cover the directors and officers of for-profit businesses, privately held companies, not-for-profit organizations, community organizations, health care and educational institutions. This coverage functions as “management errors and omissions liability insurance,” protecting the company from claims resulting from managerial decisions leading to negative financial consequences. Where do Florida Director Officer Insurance claims come from? Do I need Business Property Insurance? Do I need General Liability Insurance? Do I need Worker’s Compensation Insurance? Do I need a Business Owner’s Policy? Do I need Data Breach Insurance? Ensure that your personal and business assets are protected from unforeseen events while operating your business. Let Click & Save do all the homework for you. We will find policies that provide the best and most affordable business insurance options in Florida for your unique business needs.